External HDDs aren’t new in the computer industry. Each year, there are advancements which push HDDs and SSDs to be cheaper, lighter, sturdier, and higher in storage size capacity. Despite external drives being slightly more expensive than traditional desktop hard drives, their advantage over the latter is that external hard drives are portable and have a wide-range of storage capabilities suitable for each and everyone’s needs. 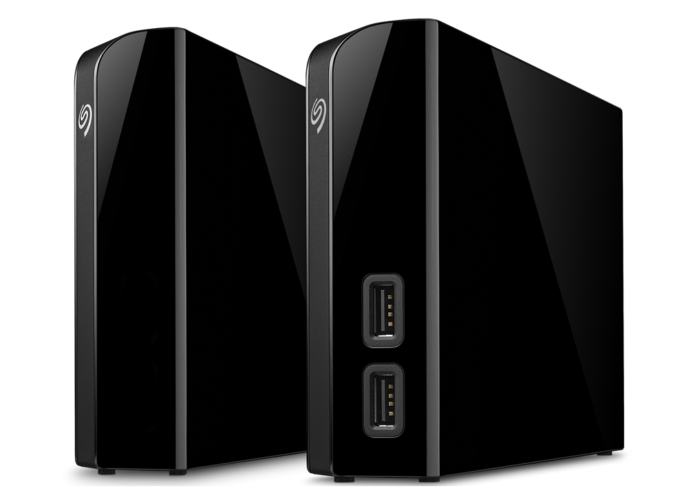 Today, we have the 6TB Seagate Backup Plus Hub — one of Seagate’s high-capacity portable hard drives. Right out of the box, the Seagate Backup Plus Hub dashes out with an elegant and stylish look – featuring a glossy finish on the sides and front, and an etched pentagon-pattern on the rear, bottom, and top exterior of the hard drive.